I decided to do another one of my throwback Friday Five posts about the events of the past week. First, I took Brayden on a date. 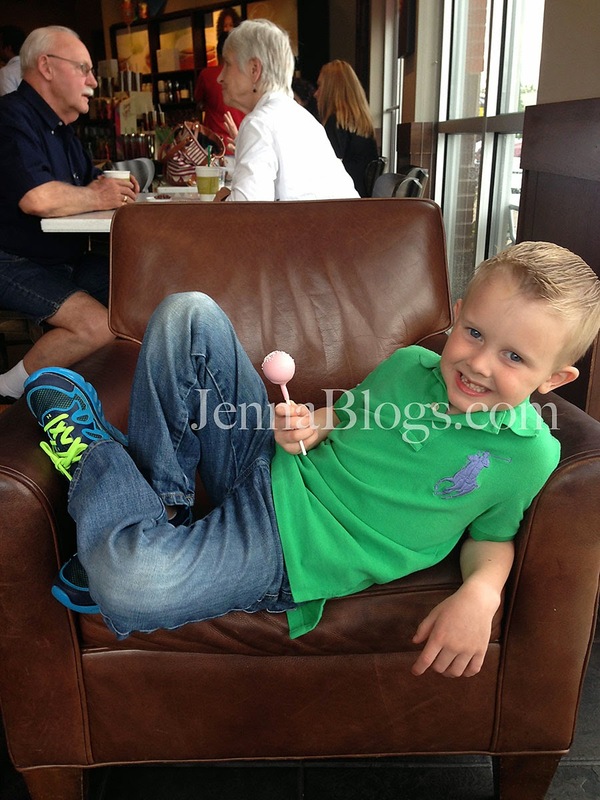 He choose Abuelo's (he loves their cheese enchiladas) followed by Starbucks for a cake pop. We had a really great time, and Chris and Brody got to go on a date too! This past weekend we had t-ball followed by the farmers market. 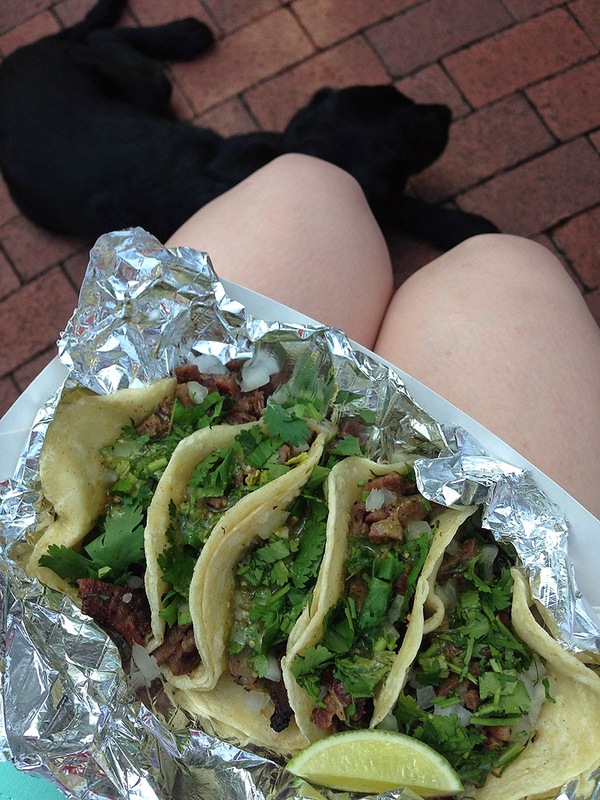 I had THE BEST street tacos EVER. I mean, seriously, EVER. Chris got them too; he had chicken and I had carne asada and we shared. If you're local you have got to try them out. Food truck food for the win! This is one of my mother's day gifts from my boys - isn't it pretty? 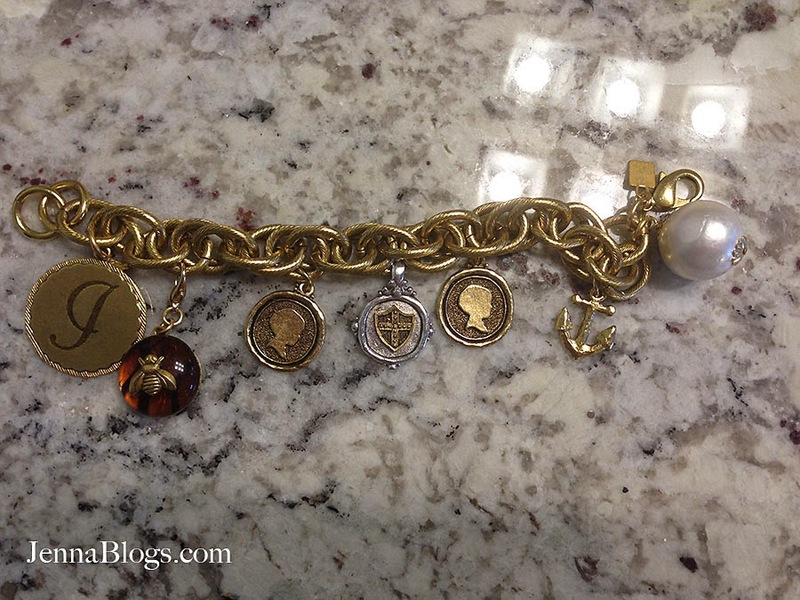 It's an awesome charm bracelet that I LOVE. A handful of change? 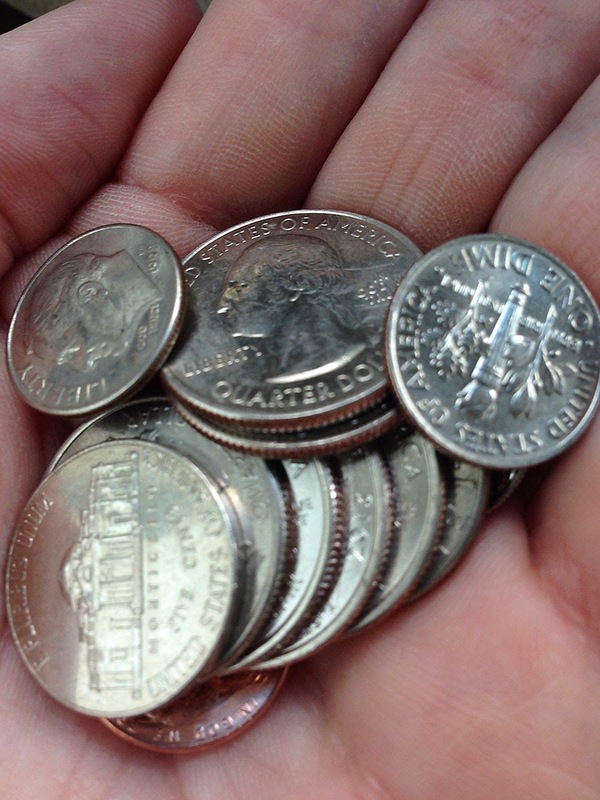 Nope, this handful of change only means one thing...Sonic Happy Hour. The kids and I went one day after school this week. Oh Sonic HH, how I love you! And what would this post be without a picture of Bodega? 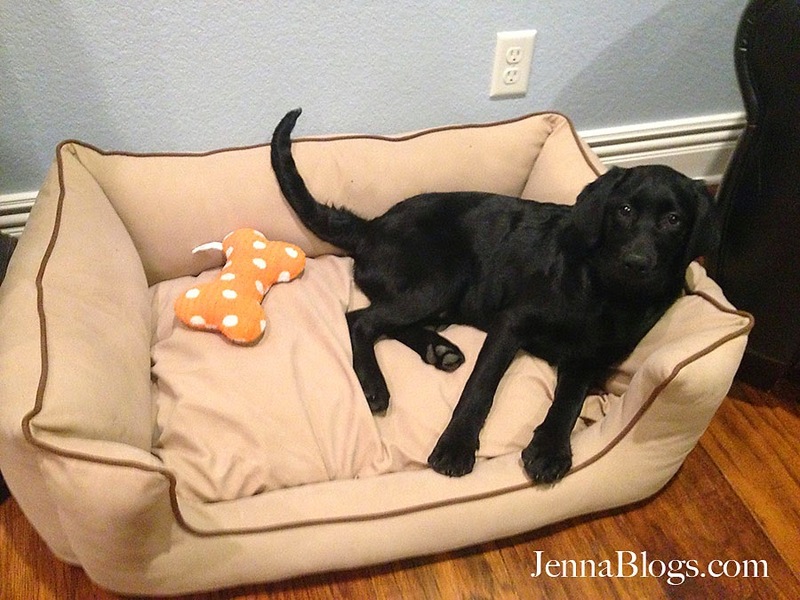 She is settling in nicely and loving her doggie life! She is SO sweet and adorable and we just love her to pieces!